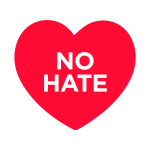 March 21 is designated International Day for the Elimination of Racial Discrimination. The day is an opportunity to remember the "pernicious impact" of racism. In the words of Ban Ki-Moon, Secretary General of the UN, "racism continues to cause suffering, for millions of people around the world...". 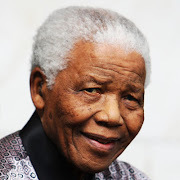 In many parts of the world, individuals and families bear the brunt of racism and racial discrimination. Recently, for instance, a grieving mother in Florida said her son, 17-year-old Trayvon Martin, was killed because of the "color of his skin". 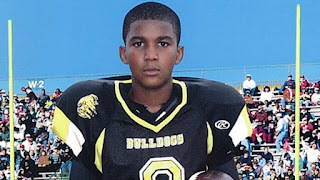 Trayvon Martin was shot dead in Sanford, Florida on 26 February 2012, by a volunteer neighborhood watchman. The killer, George Zimmerman, 28 years old, claimed he killed the unarmed teenager in "self-defense" and he has not been arrested or charged since the killing. This has reignited allegations of racism in the U.S justice system. 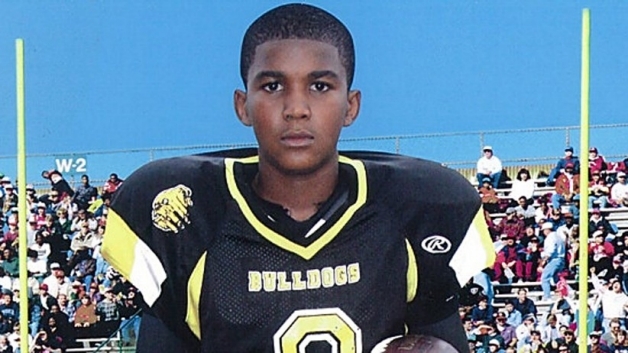 Trayvon Martin was reportedly shot dead on his way home from a convenience store. Before the shooting, Zimmerman, the neighborhood's volunteer watchman, called the police and reported a suspicious man in the neighborhood. According to a record of the call released by the police, Zimmerman the watchman told the 911 police dispatcher that the teenager "looks like he is up to no good. He is on drugs or something". The watchman then followed the teenager and pulled the trigger after a scuffle. It is plausible to conclude that Trayvon Martin was suspected because of his looks. Surprisingly or not surprisingly - depending on how you see it - the police accepted Zimmerman's claim that he killed the unarmed teenager in self-defense. Zimmerman's self defense claim, in my opinion, does not meet the "proportionality" standard. Force used in self-defense must be proportionate to the threat or perceived threat of harm. Pulling the trigger in this case was unreasonable, unnecessary and amounted to disproportionate use of force against an unarmed teenager who had with no criminal record. Letting George Zimmerman walk free after a cold-blooded killing adds weight to reports of racism in the U.S justice system. Many people, me included, argue that if it was a person of African descent who shot an unarmed white teenager in "self-defense", the outcome would have been completely different. Unlike George Zimmerman, s/he would have been arrested without delay and charged for murder, and the prosecution would have most probably demanded the maximum penalty. Some have argued (see opinion piece by Carolyn Edgar, a lawyer and writer in New York City, published on CNN on 19 March 2012) that Trayvon Martin, not George Zimmerman, acted in self-defense. But the Sandford police chief, Bill Lee, reportedly characterized the victim as the aggressor and blamed him for "beating the crap" out of George Zimmerman before being shot in "self-defense". It is unclear whether the police chief would have blamed the victim if he was a white kid - killed by a black volunteer watchman. In Florida, the use of force in self defense is permissible if the person claiming self-defense uses force as permitted by law. In my opinion, from the "proportionality" standpoint, the use of lethal force by George Zimmerman is not justifiable, neither is it permitted under s. 776.012, s. 776.013, or s. 776.031 of the Florida Statutes governing justifiable use of force. Hence Zimmerman does not have immunity from criminal prosecution or civil action. He should be arrested, charged and prosecuted. Failure to do so will set a dangerous precedent in Florida. Following the reluctance of Sanford Police Department to bring George Zimmerman to book, the U.S. Justice Department announced on 20 March 2012 that it will investigate the killing. In the interest of justice, the investigation must be impartial and void of any form of racial prejudice, stigma or bias. It is a shame and a blow to the credibility of the Sanford Police Department - and the U.S justice system in general - that the 2012 International Day for the Elimination of Racism was marked by accusations of racism and double standards in law enforcement. Labels: Law and Order, Racism, U.S.
Good article except your remarks about the issue if the shooter was black and the killed white. Always on the same story about poor black men against white. I not disagree completely but I'm tired to read and hear such things. Would be nice to evaluate the percentage of black and withe people in prison to, maybe, understand why "white" people are afraid. But, again, was a good article and I will hope the justice will dig more on this dramatic story. You might not agree, but the bitter truth is that racism in law enforcement is endemic. I strongly suggest you read what I posted about RACISM IN THE US LEGAL SYSTEM, available here: http://www.zuzeeko.com/2011/09/racism-in-us-legal-system.html. Also read more about race and the death penalty. Based on research and reports about racism in U.S. law enforcement, I stand by my assertion that if the shooter was a black adult and the victim a white unarmed teenager, the outcome would have been different. I won't evaluate the percentage of people of African descent in prison. I'd rather examine WHY many are in prison. Perhaps it's due to a long history of exclusion, discrimination, disenfranchisement, you name it. Thank you for your comment. It's important to sincerely discuss such issues. Stick around.